Mitch joined Brooks Applied Labs in 2017 with over six years of laboratory experience in order to assist with sample preparation and trace metals projects. 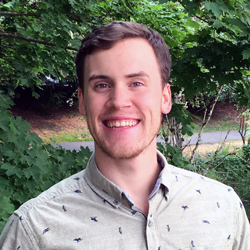 He received his BS in Chemistry from Western Washington University, and after a few more years kickin’ it in Bellingham he finally returned to his Seattle-area home turf in 2013. Aside from lab work, Mitch’s favorite activities include road trips, fly fishing, hiking, kayaking, and baking.